Special Features Include: David Tennant Video Diary — The Final Days, Doctor Who at Comic Con 2009, Doctor Who Confidential, Deleted Scenes, Audio Commentaries, Doctor Who at the Proms, Collectors’ Booklet, BBC Idents. 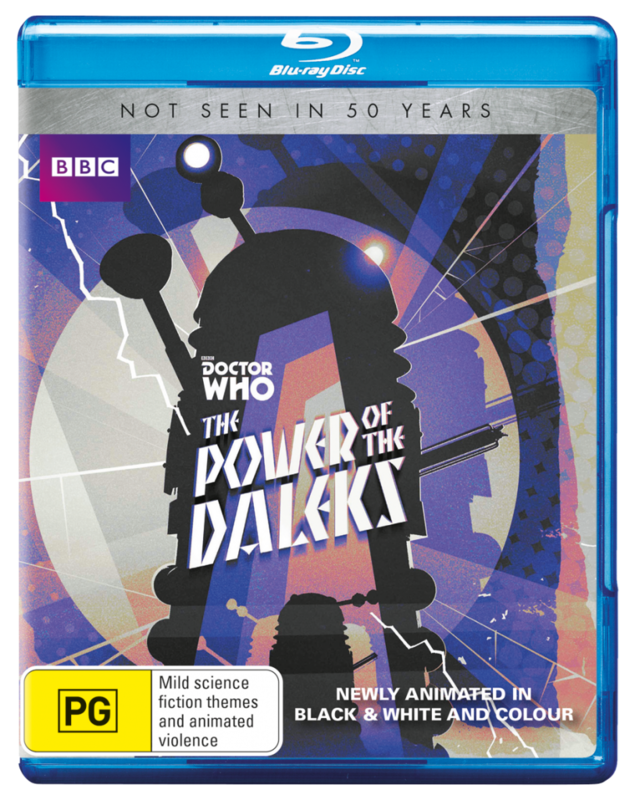 Special Editions of three classic Doctor Who DVD releases – newly remastered, repackaged and reappraised with exclusive new special features! The Fourth and Seventh Doctors do battle with the deadly Cybermen in two classic adventures! In Silver Nemesis, it’s 23 November 1988 and the Doctor and Ace must prevent the powerful Gallifreyan statue Nemesis from falling into the hands of three groups of villains: Lady Peinforte and her loyal servant Richard, who have travelled from the year 1638; Herr de Flores, who dreams of establishing the Fourth Reich; and the Cybermen, who plan to invade Earth. 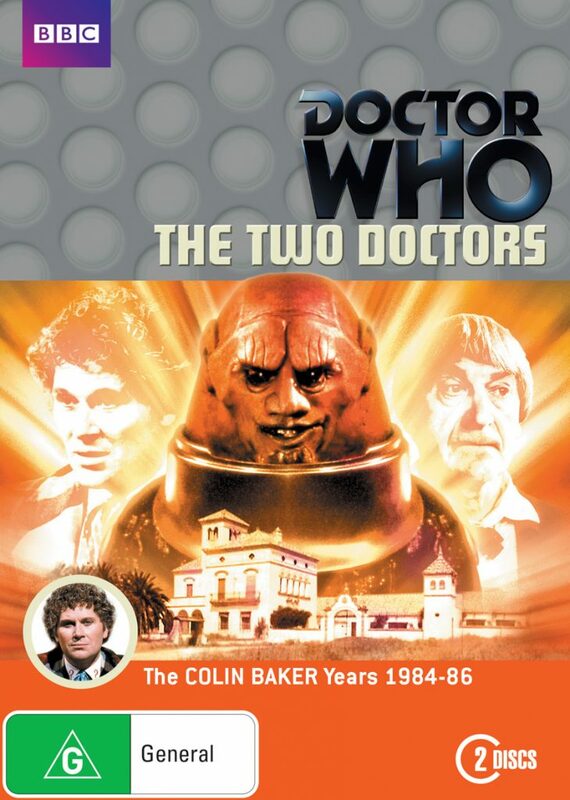 Special features include: commentaries, making-of documentaries and photo galleries for both stories, an interview with Tom Baker, a feature on the fan practice of episode-swapping, deleted and extended scenes for Silver Nemesis, and trails and continuity announcements from the original transmission of Silver Nemesis. 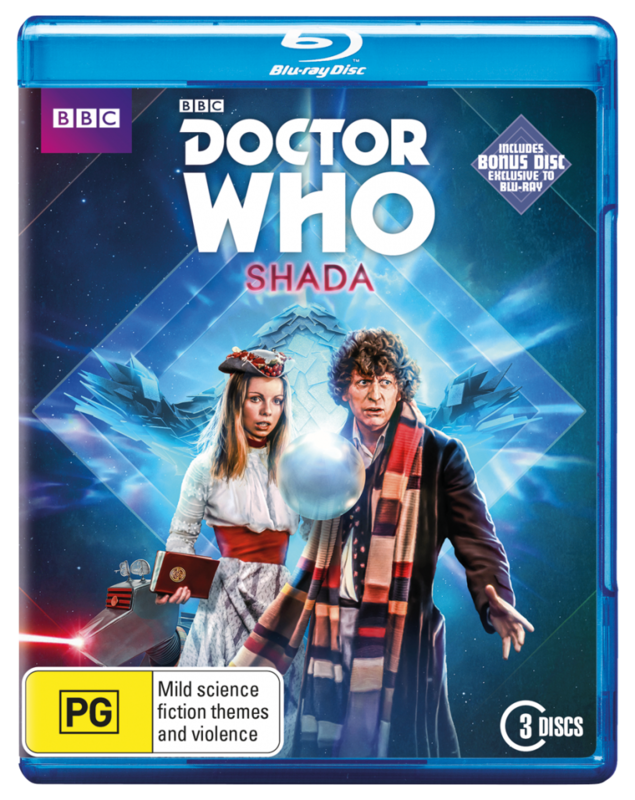 This special release is packed with extras celebrating the end of Peter Capaldi’s – and Steven Moffat’s – time on Doctor Who, including Doctor Who Extra, The End of an Era and footage from the Doctor Who panel at San Diego Comic-Con. 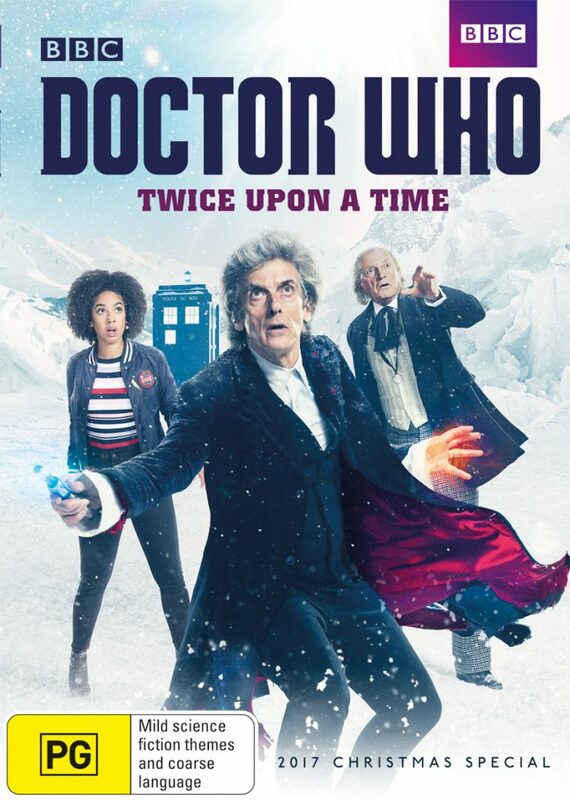 Peter Capaldi stars in his final full series as the Doctor, joined by Pearl Mackie as new companion Bill Potts, Matt Lucas as butler-come-badass Nardole and Michelle Gomez as the Doctor’s frenemy, Missy. 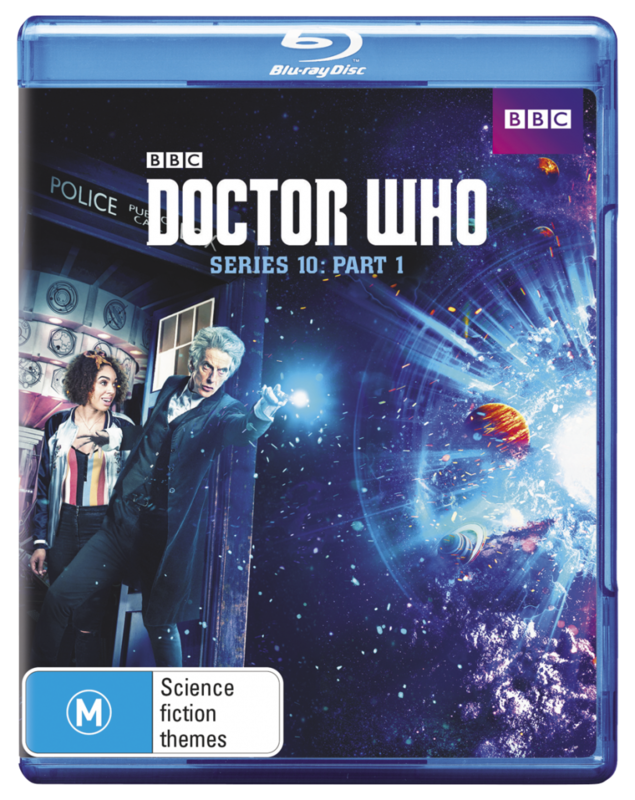 Available as a 6 disc set, this release bundles together all twelve episodes of Series 10 along with the 2016 Christmas special. Includes a limited edition set of lenticular cards – only while stocks last! 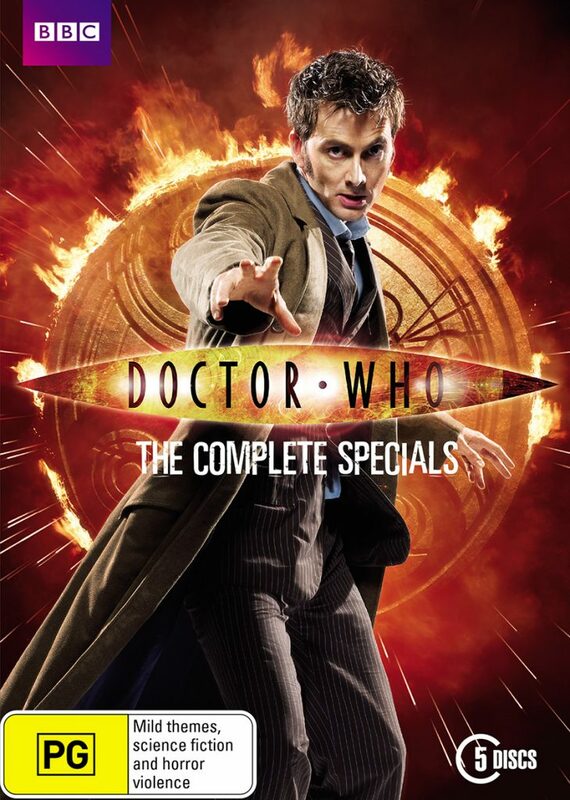 Special Features Include: Doctor Who Extra – The Return of Doctor Mysterio, The Doctor – A New Kind of Hero, Knock Knock binaural sound, Becoming the Companion, Out of This World, : – ) , … Who’s There?, Rona Munro – A Modern Classic, The Finale Falls, Inside Looks, Deleted Scenes, Audio Commentaries, Doctor Who The Fan Show – After Shows, and Doctor Who – The Finale Countdown. 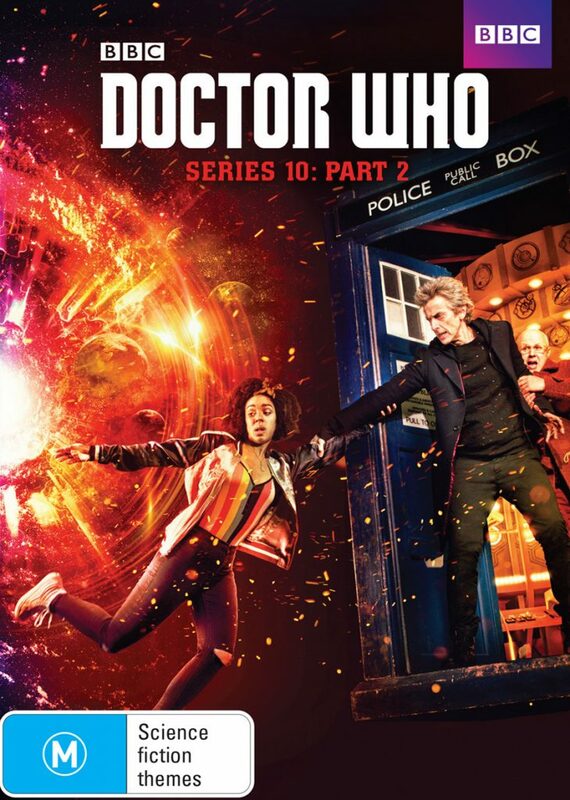 The Twelfth Doctor (Peter Capaldi), Bill (Pearl Mackie) and Nardole (Matt Lucas) continue their adventures, along with sometime-friend-sometime-foe Missy (Michelle Gomez). 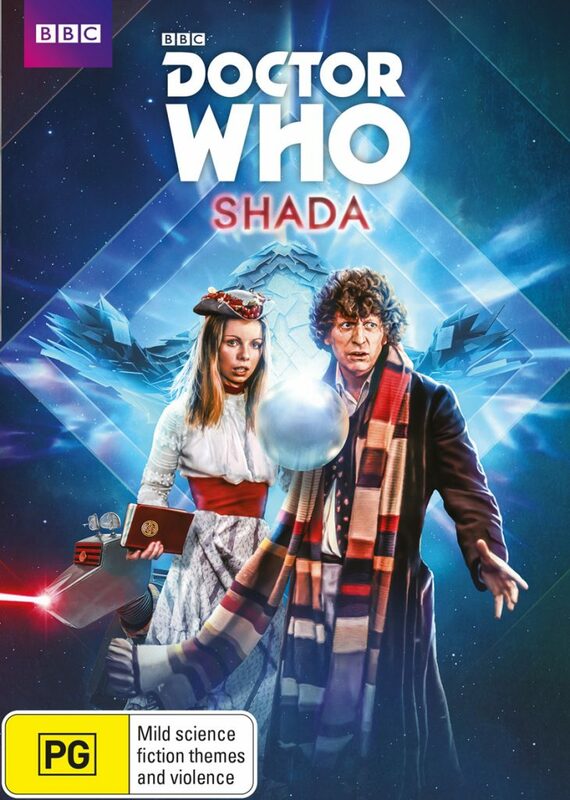 Join them as they encounter a spaceship reversing away from a black hole, an unearthly beast stalking the plains of Roman Britain and an unconventional invasion of Earth, along with the return of the Ice Warriors, the Master and the Mondasian Cybermen! 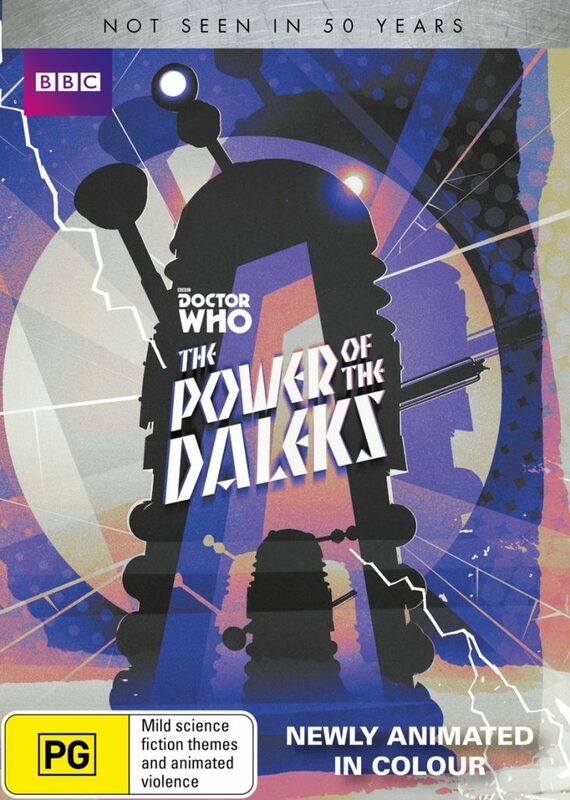 The dramatic crescendo and explosive finale of Series 10 are now yours to own. Collecting the final six episodes, this release is the perfect warm-up for the Twelfth Doctor’s impending exit! This boxset also includes a bonus feature that gives an ‘Inside Look’ at each episode, including behind-the-scenes footage, cast interviews and the inside story. 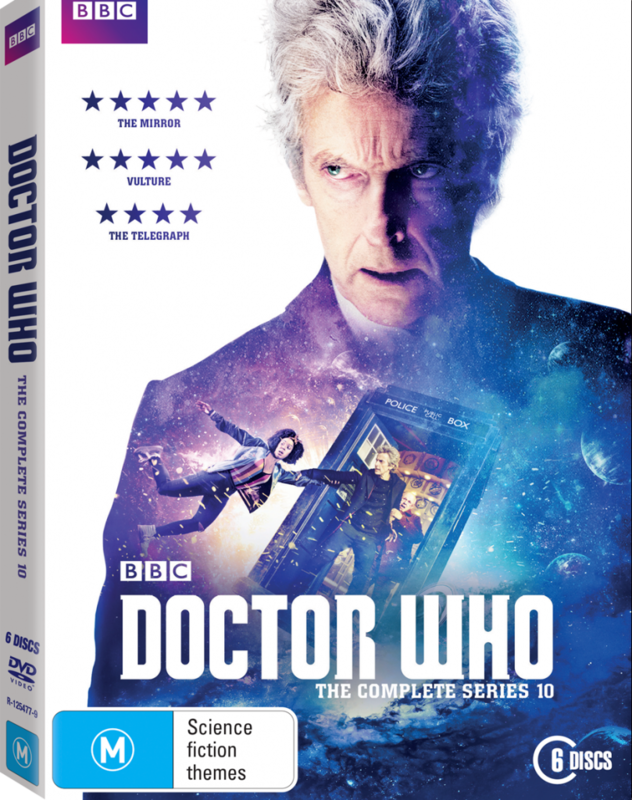 The dramatic crescendo and explosive finale of Series 10 are now yours to own in glorious HD. Collecting the final six episodes, this release is the perfect warm-up for the Twelfth Doctor’s impending exit! 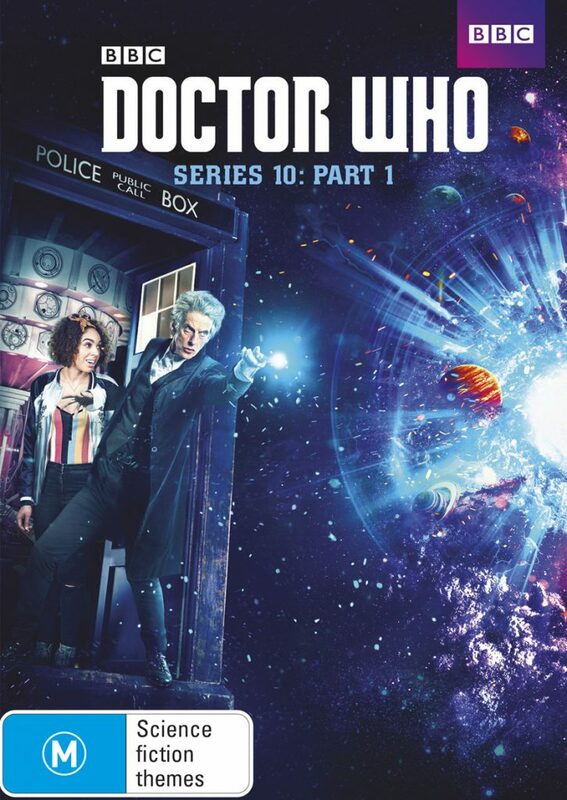 This boxset also includes a bonus feature that gives an ‘Inside Look’ at each episode, including behind-the-scenes footage, cast interviews and the inside story. Peter Capaldi, Pearl Mackie and Matt Lucas star as the Twelfth Doctor, Bill Potts and the semi-robotic Nardole. Bill is a young woman who serves chips and smiles when she doesn’t understand something. The Doctor is an impossibly old university lecturer sworn to watch over a secret underground vault. They are about to change each other’s lives. Relive all the action and excitement from the first six episoeds of Series 10. This boxset also includes a bonus feature that gives an ‘Inside Look’ at each episode, including behind-the-scenes footage, cast interviews and the inside story. Relive all the action and excitement from the first six episoeds of Series 10, in glorious HD. This boxset also includes a bonus feature that gives an ‘Inside Look’ at each episode, including behind-the-scenes footage, cast interviews and the inside story. 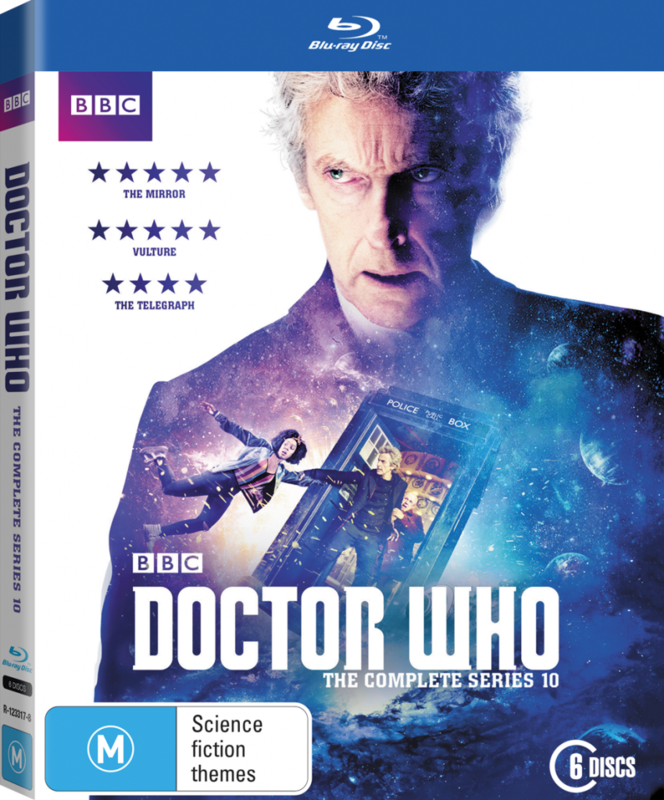 This box set features The Name of the Doctor (Series 7 Finale), The Day of the Doctor (50th Anniversary Special), The Time of the Doctor (2013 Christmas Special) and An Adventure in Space and Time. 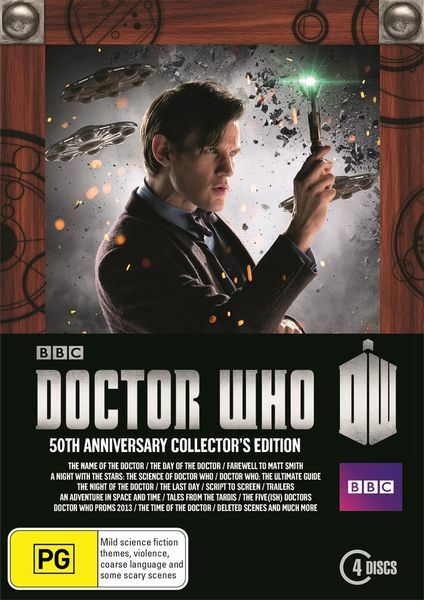 Disc One includes: The Name of the Doctor, Behind the Scenes, Night of the Doctor and Doctor Who – The Ultimate Guide. 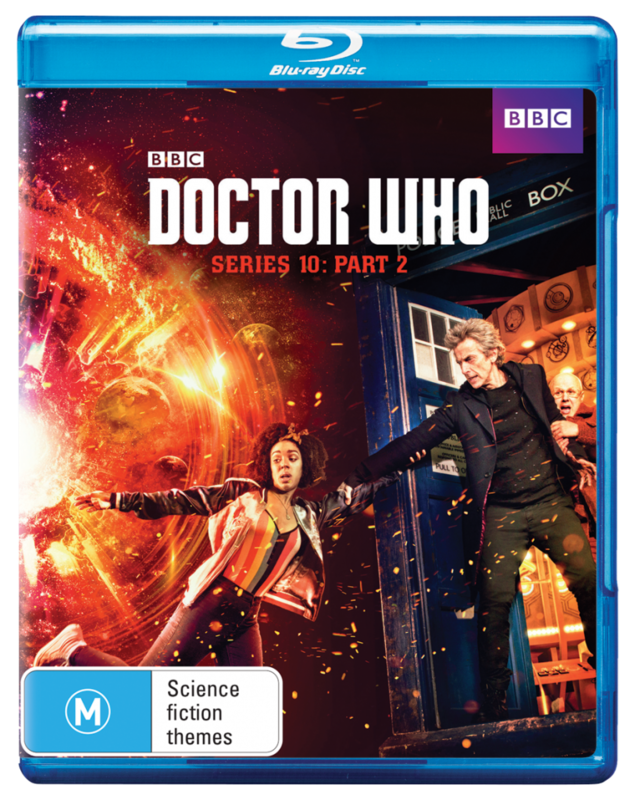 Disc Two includes: The Day of the Doctor, Behind the Lens, The Last Day, The Day of the Doctor – Script to Screen, Cinema Introductions and Trailers. Disc Three includes: The Time of the Doctor, Behind the Lens, Deleted Scene, Tales From The TARDIS, Farewell To Matt Smith and A Night With the Stars – The Science of Doctor Who hosted by Professor Brian Cox. Disc Four includes: An Adventure in Space and Time, Extras The Five(ish) Doctors Reboot) and Doctor Who at the Proms. Peter Capaldi’s Doctor is back with Matt Lucas’ unlikely companion Nardole in tow. Joining them in this festive tale are Charity Wakefield (Wolf Hall) and Justin Chatwin (Dragonball: Evolution). Grant Gordon, a young comics-obsessed boy, is endowed with superhuman powers following a mundane misunderstanding. The Doctor checks in with Grant many years later, where he now leads a double life as live-in nanny and protector of the people of New York. After a year of lying dormant away from our screens, Doctor Who burst back in to life at Christmas with this vibrant and loving homage to the Superman films of yesteryear. 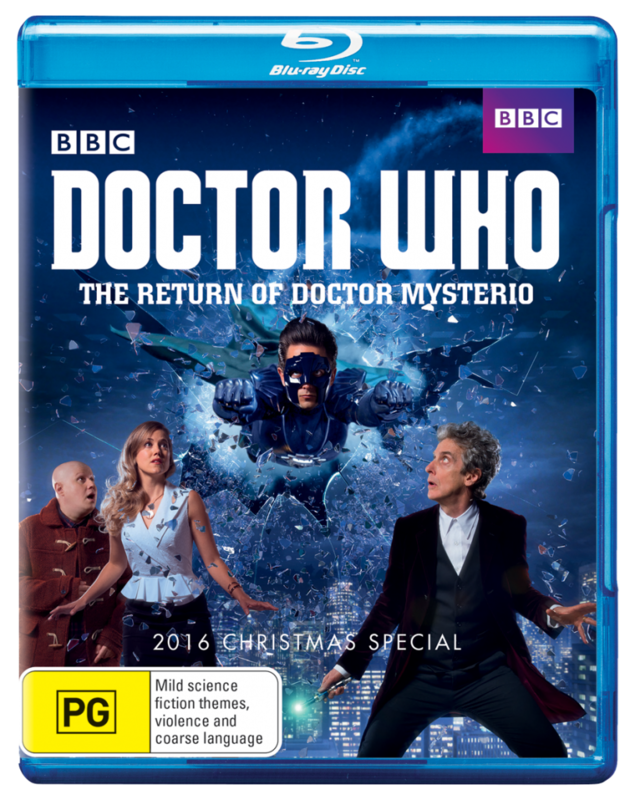 This release also includes the bonus features ‘The Doctor: A New Kind Of Hero’ and ‘Doctor Who Extra: The Return Of Doctor Mysterio’. 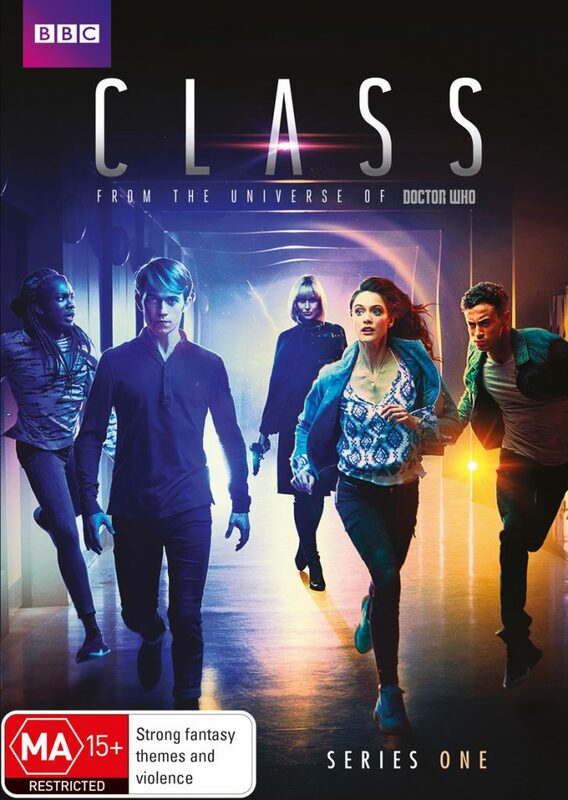 Charged by the Doctor to protect the Earth against extraterrestrial threats, a small group of students battle against otherworldly monsters and inner demons as they try to figure out their place in the universe. Meanwhile, the misanthropic Miss Quill is one of the most memorable and charismatic creations we’ve seen in recent years and makes a marvellous foil for the show’s young stars. 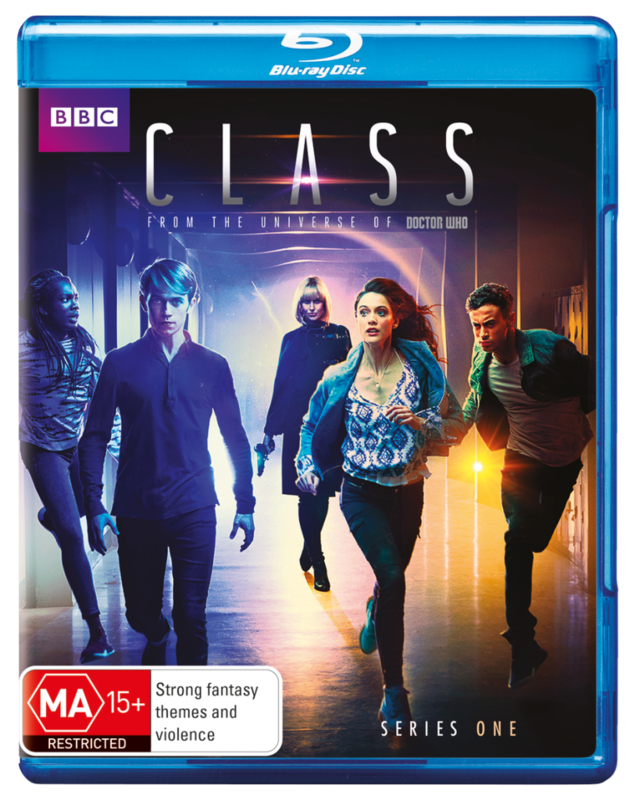 With a blend of sci-fi adventure and Young Adult fiction tropes ,this series is simultaneously familiar and yet like nothing else in the Doctor Who Universe. 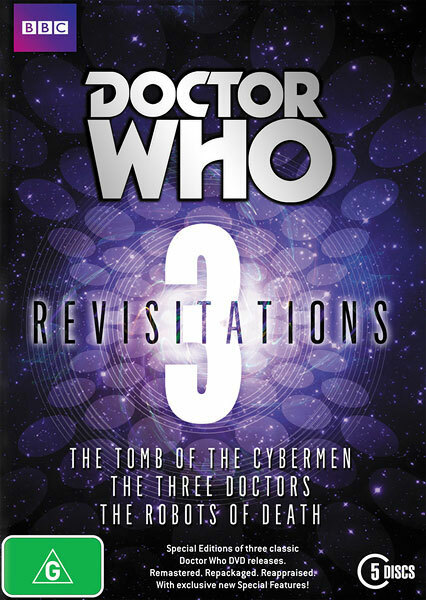 Special features include: commentary, recollections on finding the Spanish locations, a documentary on writer Robert Holmes, studio footage, video location rushes, an in-depth look at the making of Doctor Who, an animated photo gallery and an isolated score. This story sees Patrick’s Troughton’s Doctor square off against the maddest mad scientist who ever was – Professor Zaroff, played by the outrageous Joseph Fürst. Joining the fray are swinging ‘60s companions Polly Wright (Anneke Wills) and Ben Jackson (Michael Craze) as well as the newest TARDIS occupant, 18th century Scots boy Jamie McCrimmon (Frazer Hines). At one point regarded as one of the most infamous pieces of Doctor Who ever produced, The Underwater Menace is now firmly a cult hit – infinitely quotable and full of some vibrant performances, not least that of Joseph Fürst. Episode 2, thought lost for over forty years, sees its first release on this special DVD that sees all episodes of the classic series known to exist available in shiny disc form. The surviving episodes are complemented by exclusive reconstructions of the still absent episodes 1 and 4, as well as a slew of extras looking back on the making of this highly memorable tale.